Buying stocks without a broker is the best way thing to do if you are deterred by the fees that you might have to pay to a brokerage firm when investing in company stocks. You can invest in major companies across the world without having to pay any commission. This means that you get to keep your hard-earned money while investing part of it in online stocks. Most people are unaware of the fact that stocks can be bought directly from the company itself. This may eliminate the need for an online broker, but it’s still a good idea to spend time comparing stock brokers online. Your time can also be spent in researching companies of interest. When companies list themselves on the stock exchange, they enlist the services of a transfer agent to handle all transactional administration. 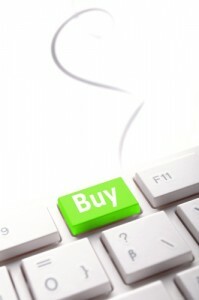 Computershare is the most commonly used platform to administer direct stock purchase plans to the public without the intervention of an online broker. Unlike brokerage account trading, a direct stock purchase plan enables you to buy stock directly from the transfer agent. There is no need to hunt for discount brokers or an agency. In fact, by going to the transfer agent, you are going directly to the company. However, it should be noted that not all companies provide such plans; but, there is still ample choice. While courses and guides for online stock trading for beginners talk about software, tools and brokers, they seldom mention Direct Stock Purchase (DSP) plans. These plans allow the general consumer to invest directly in a company without engaging any broker. Some of the features of direct stock purchase plans are mentioned below. The minimum investment required is variable. It can be adjusted to suit your need and normally starts from $25 with an upper limit of around $2,500. The payments can be made through automatic bank debit or a check. Scheduling monthly or weekly purchases can be set. This reduces potential risk. The dividends you get can be reinvested in shares of the company. Generally, plans bought directly from the company cost very less. Fees for all trading activities are low and that includes the account setup, buying shares, reinvesting dividends, and selling shares. Some companies do not charge any fees at all. This works out to be more profitable than performing the same activity through a broker. Direct stock purchase plan answers the throbbing question, “how to buy stocks online without a broker?” Choosing the best company with such plans is the nest important step. Some of the well-known companies to invest in include Disney Entertainment, Eastman Kodak, FedEx, Microsoft, Walmart and Exxon Mobil. Each company has different investment plans. Read each investment plan carefully before making the final decision. Finally, when you choose to invest in a company, make sure that you study the performance of the company along with thorough analysis to indicate profitability and identify risks. This is a much needed step as you will be performing all these without the expert advice of a broker. If you really want to learn how to buy stocks online without a broker you must be willing to be your own financial advisor and research specialist. Invest wisely and in diverse companies.